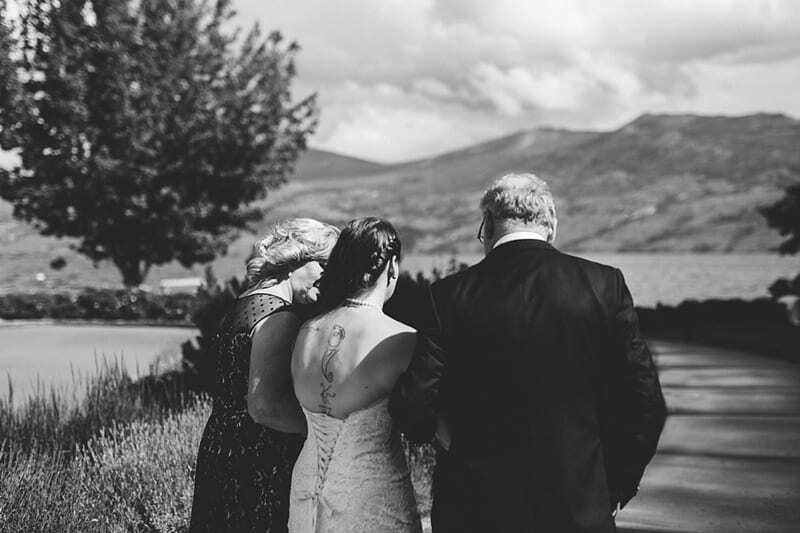 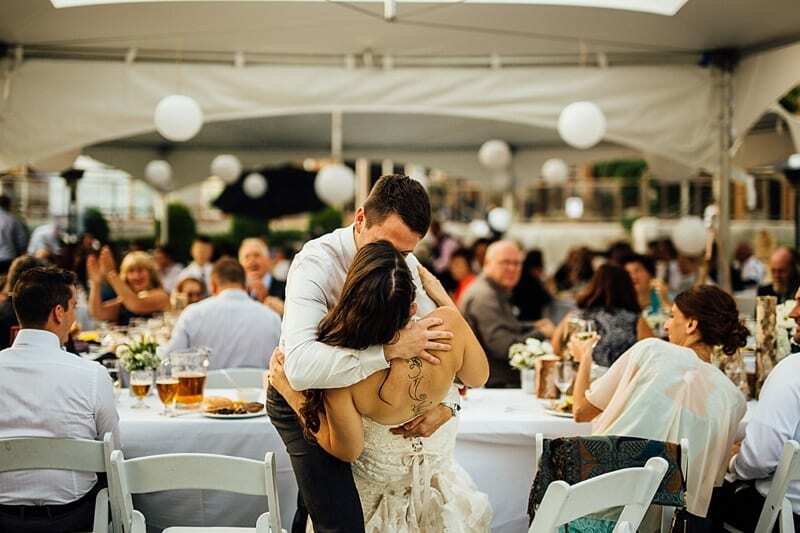 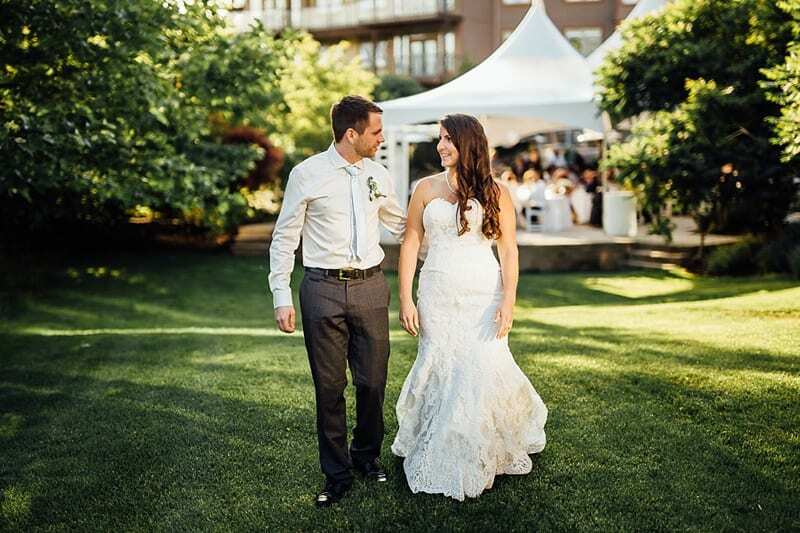 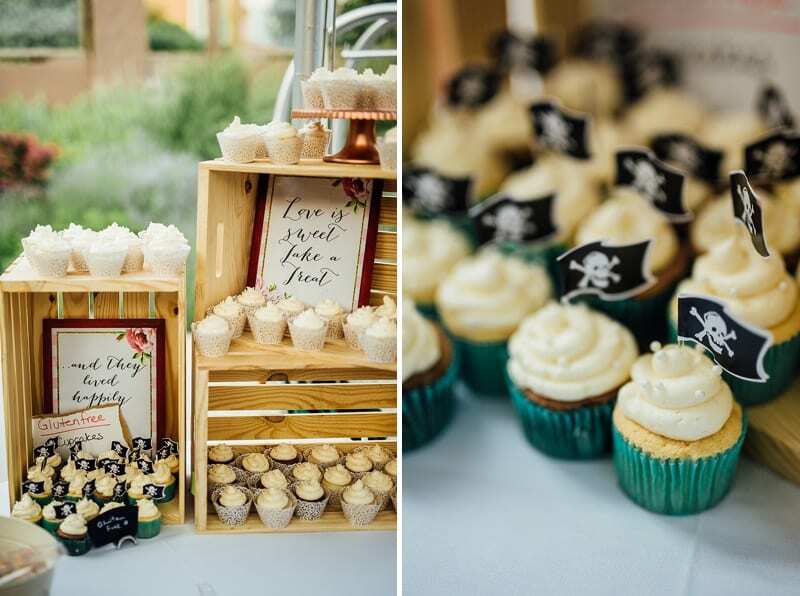 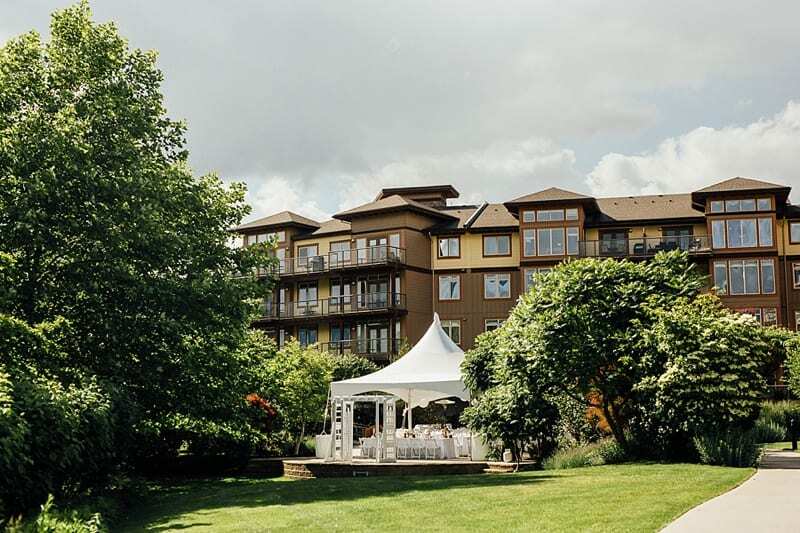 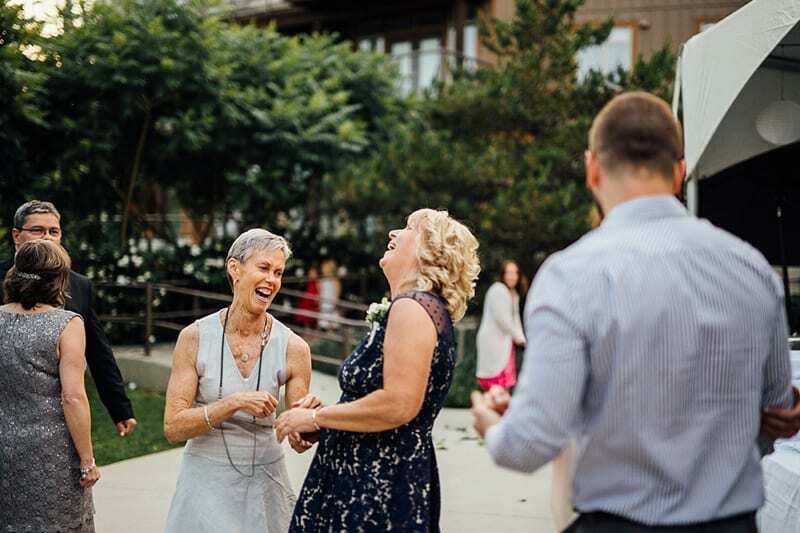 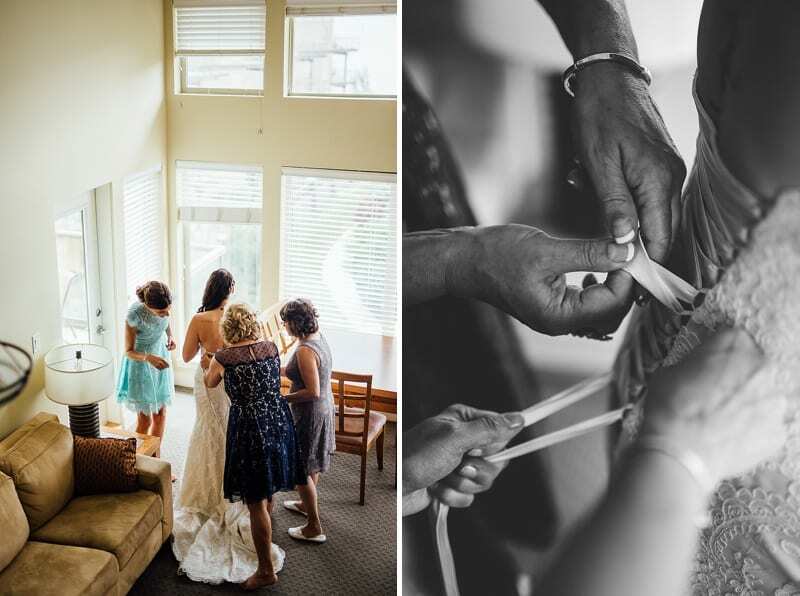 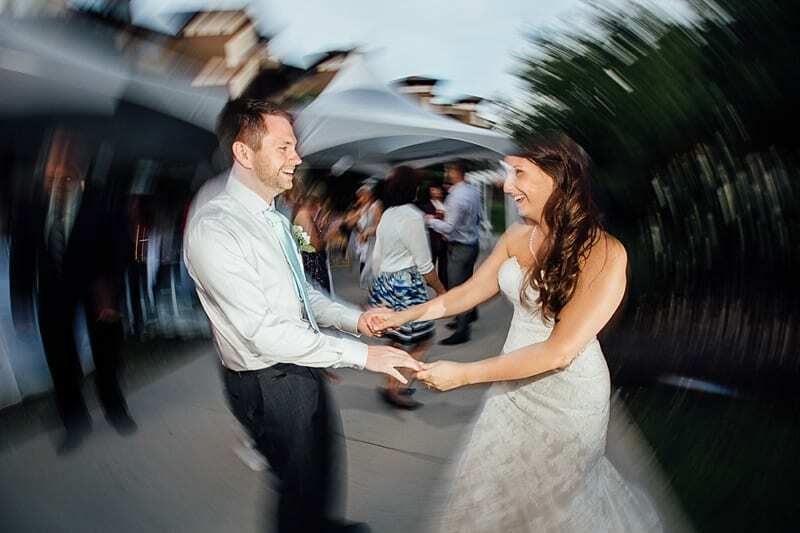 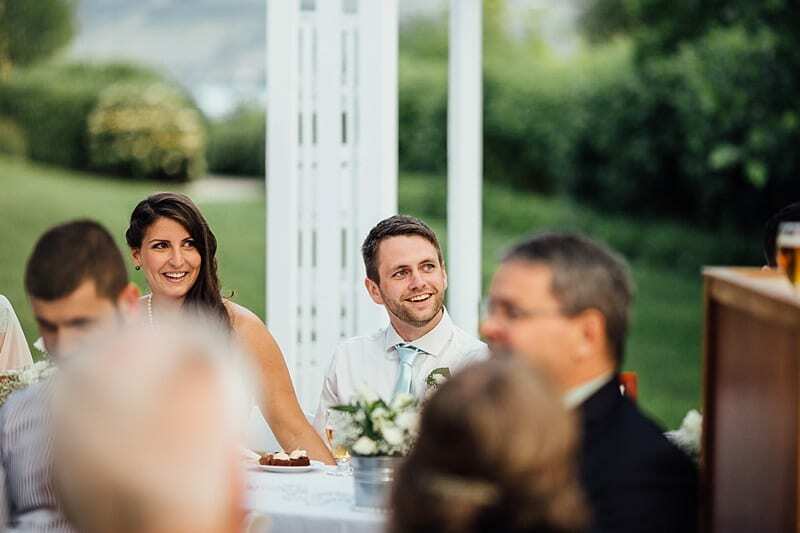 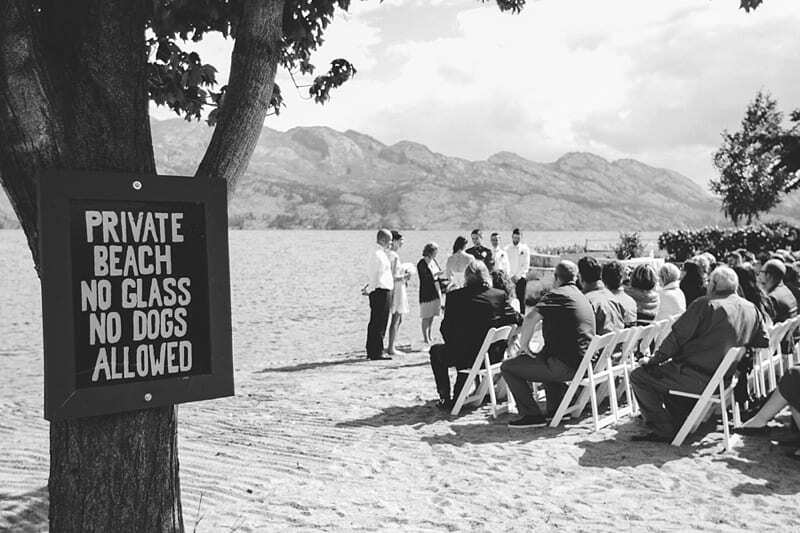 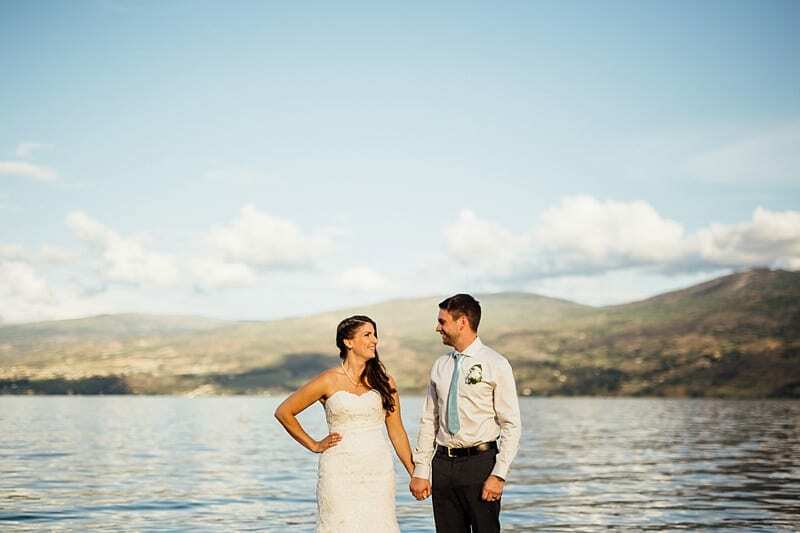 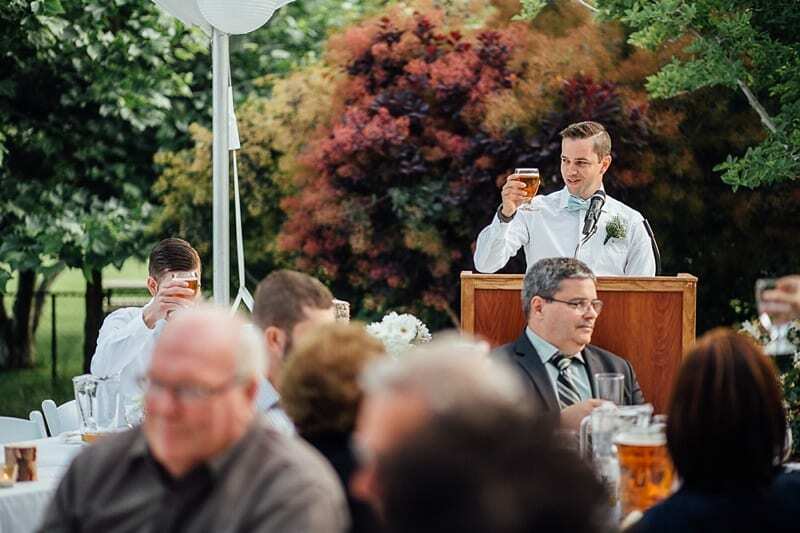 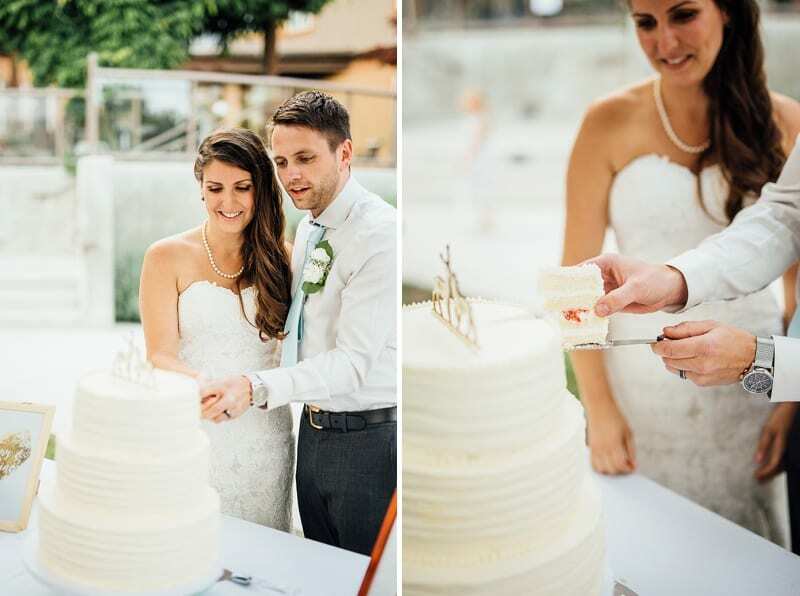 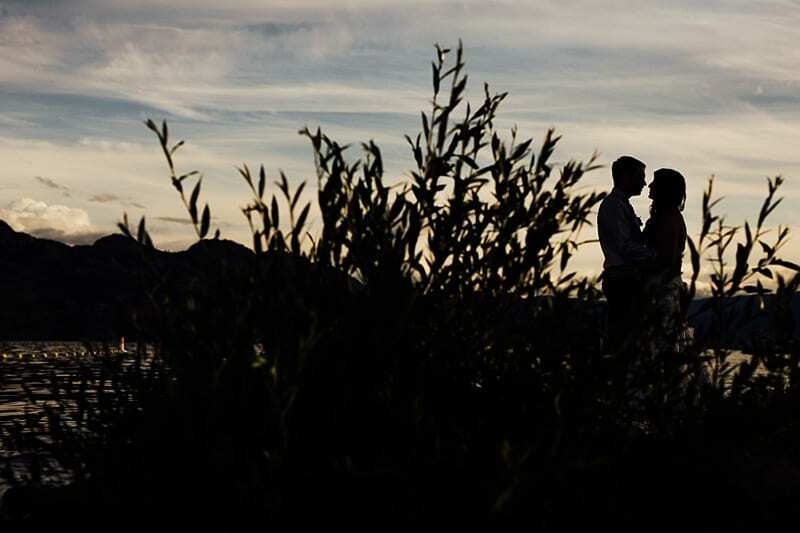 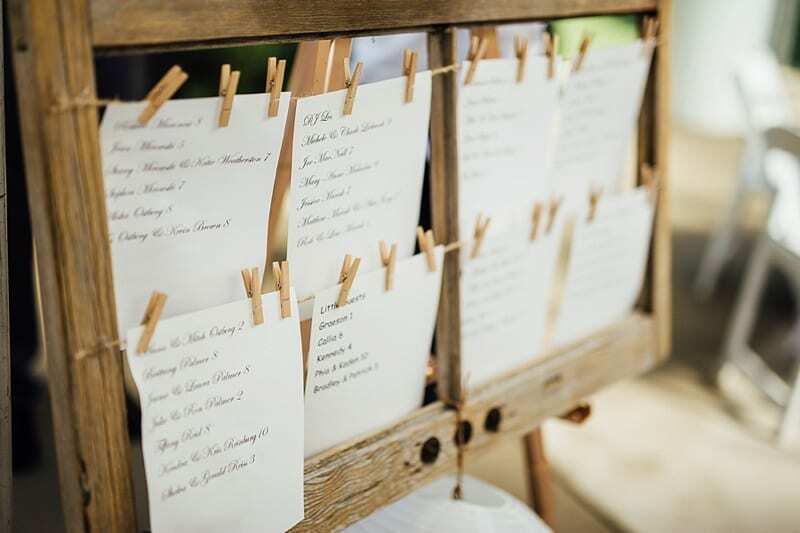 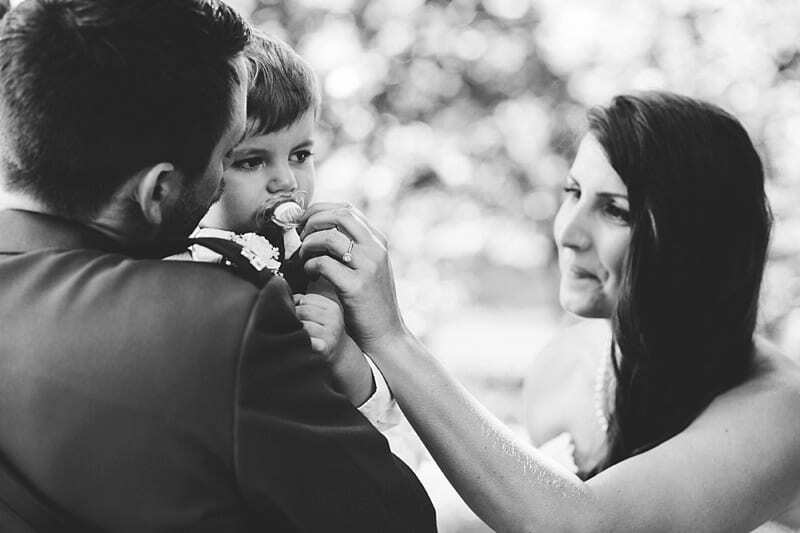 This West Kelowna wedding at The Cove Lakeside Resort was full of romance and laughter and sun and rain! 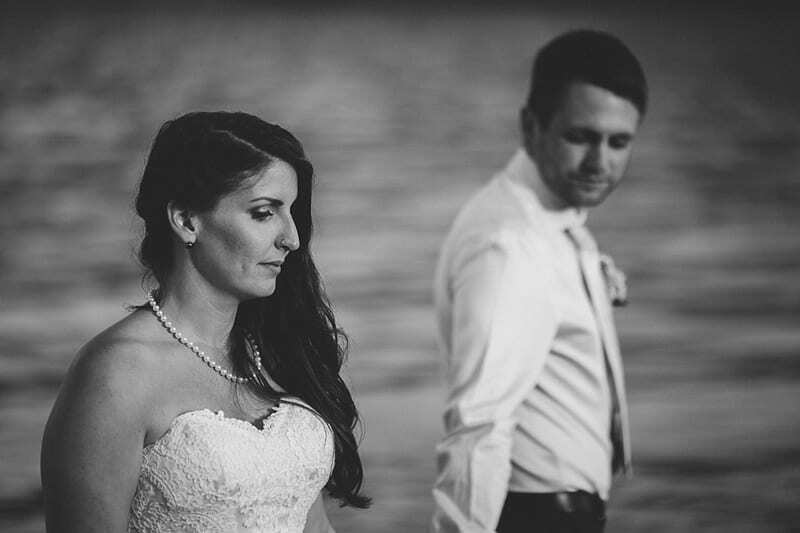 Somehow we always get to photograph the awesome people of the world. 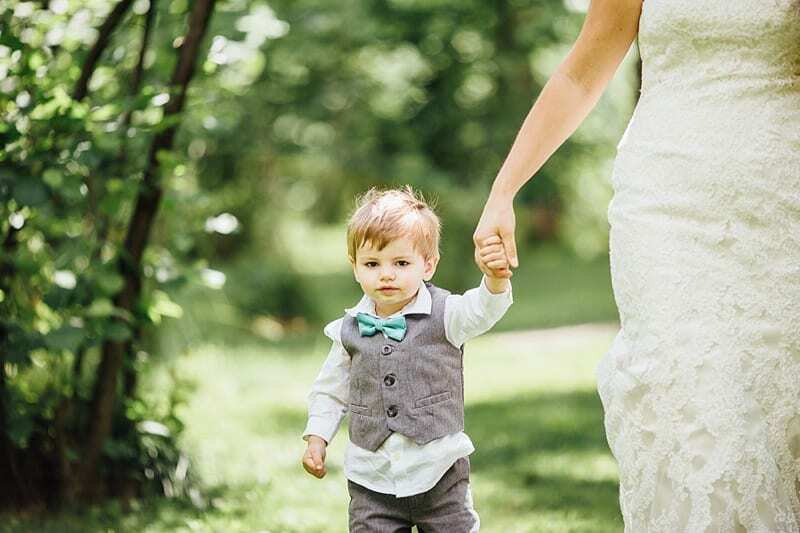 The ones who’ll totally roll with whatever the weather brings! 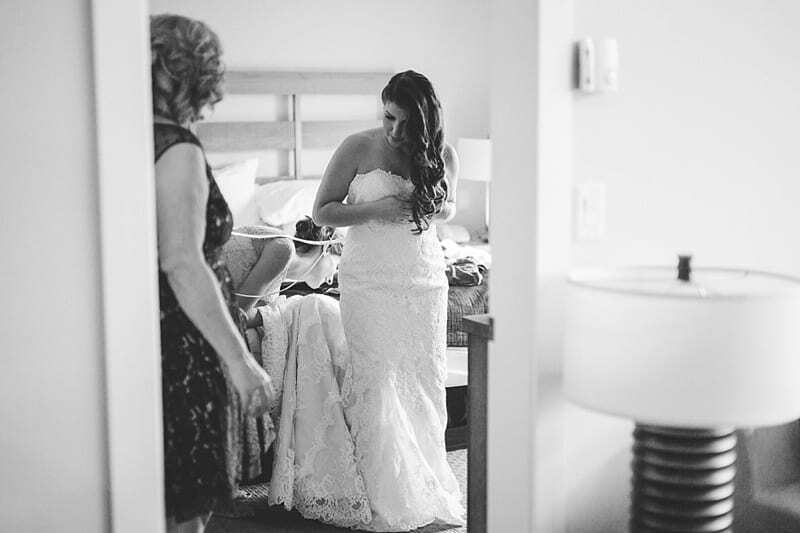 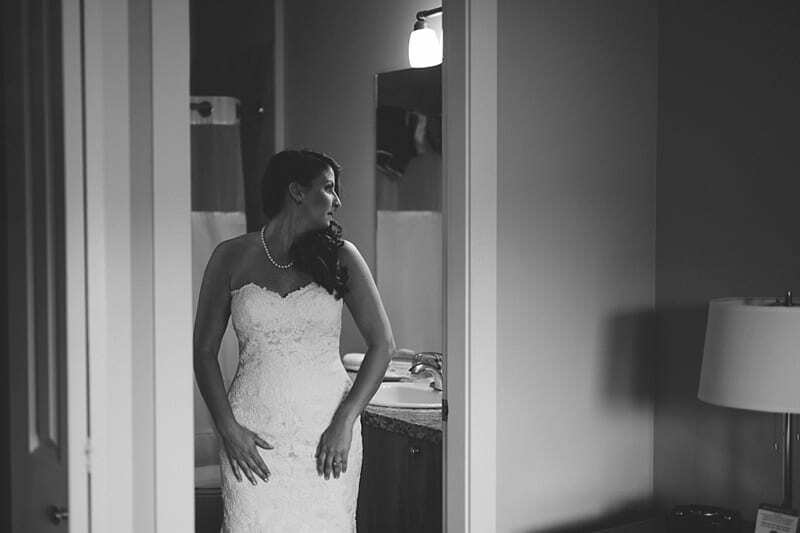 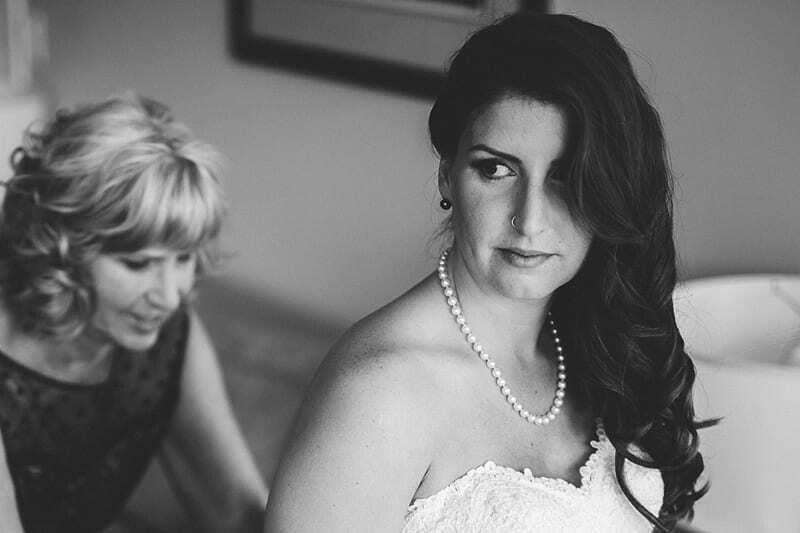 The skies were cloudy as Tara + Sam got ready at the The Cove. 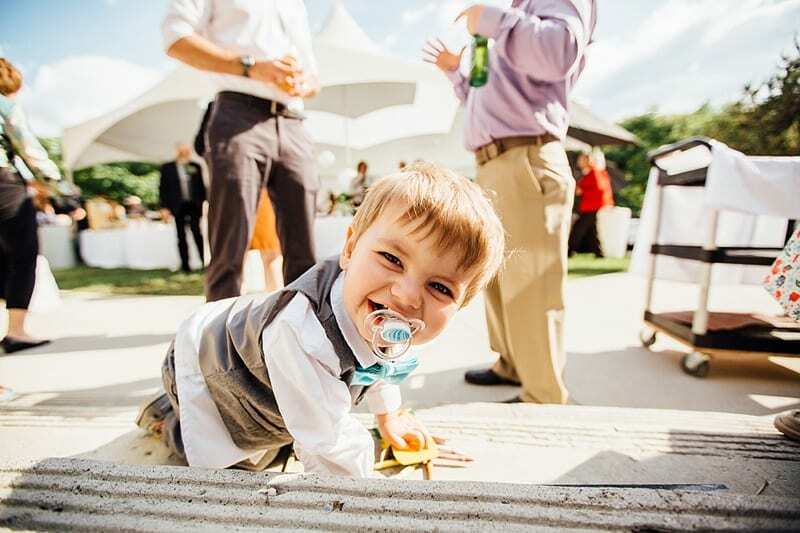 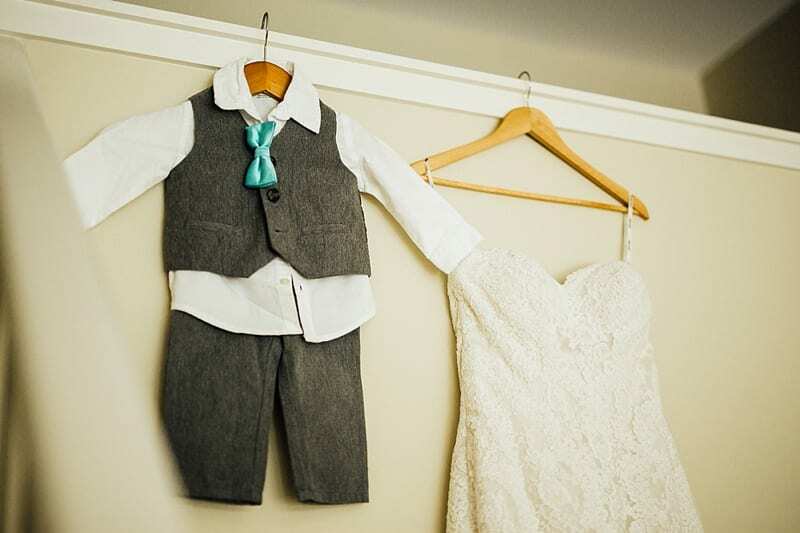 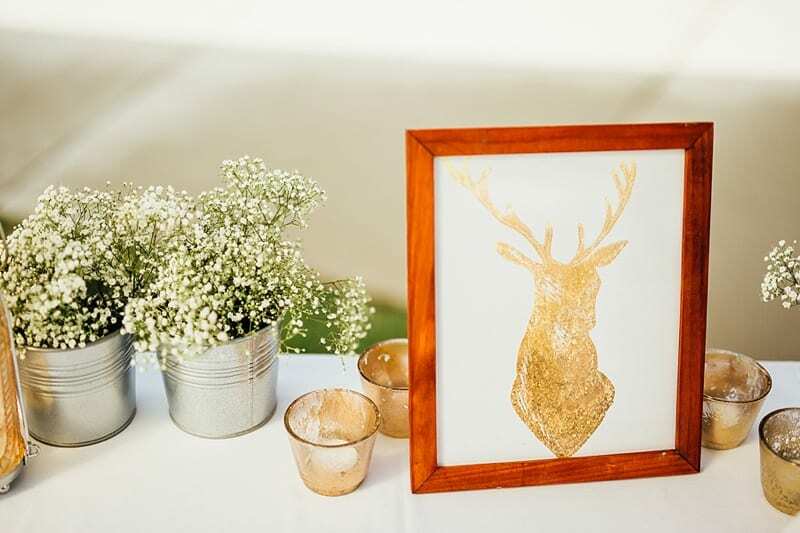 We loved the little outfit for their son and we had to hang it up right with the dress! 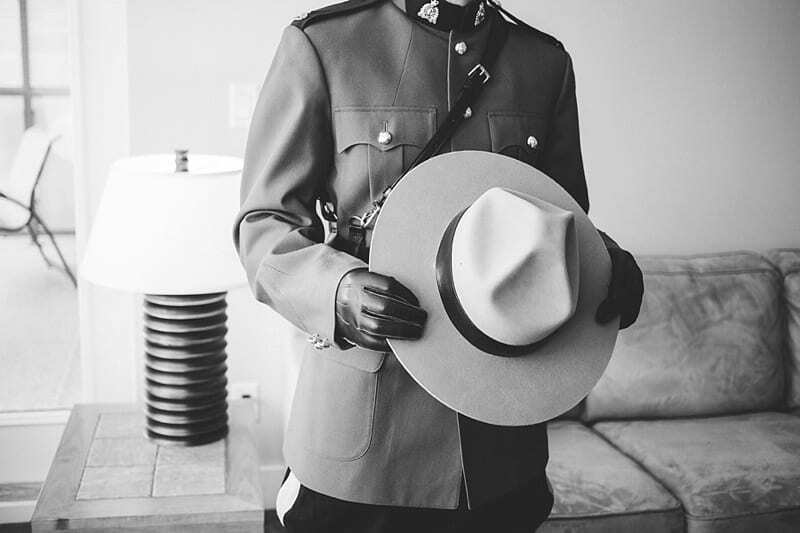 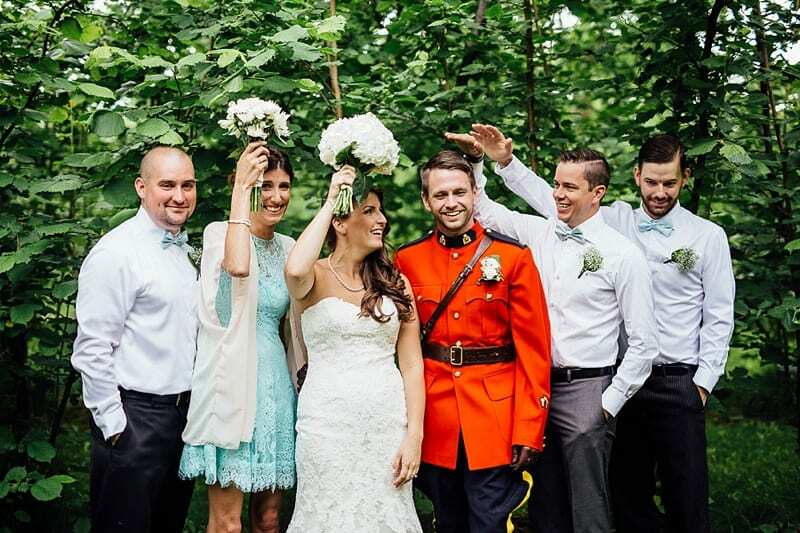 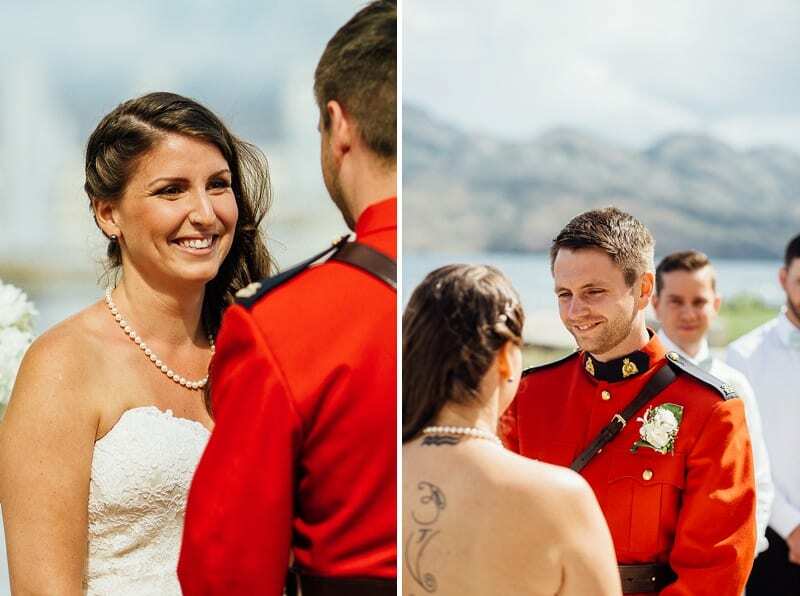 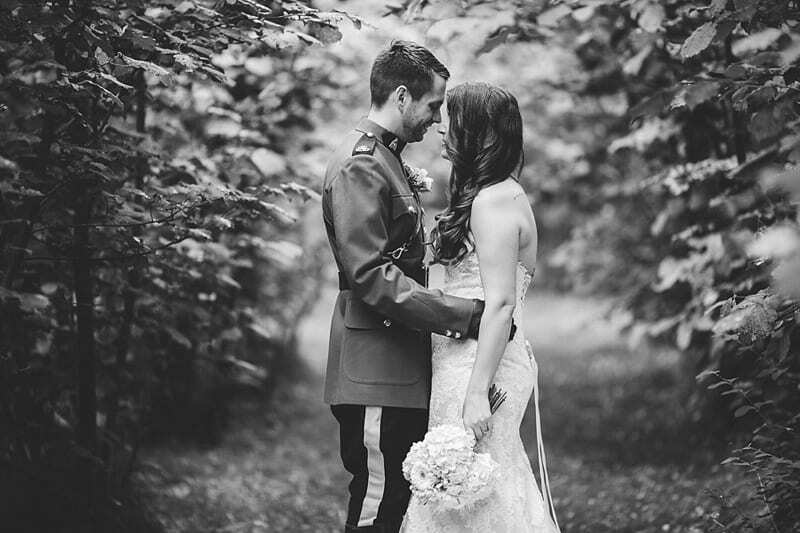 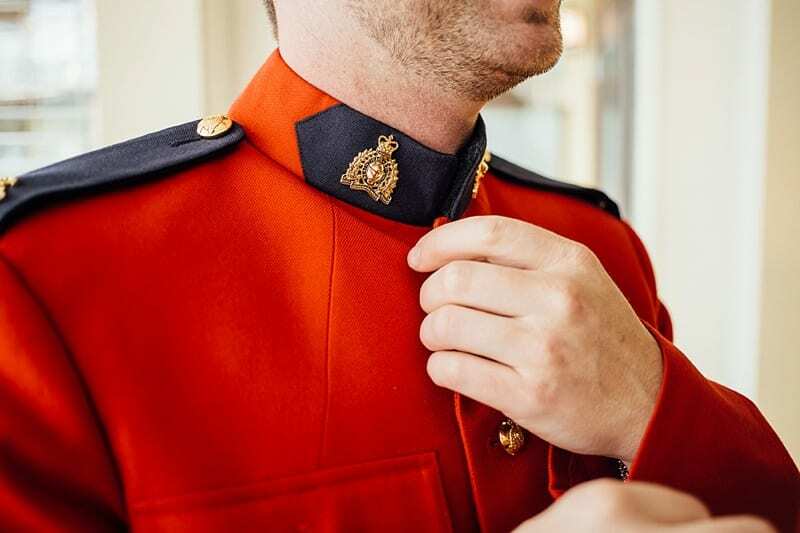 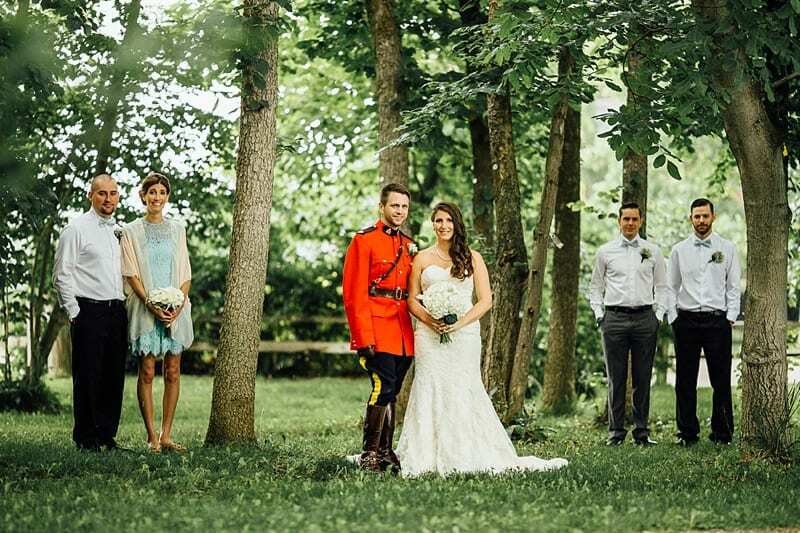 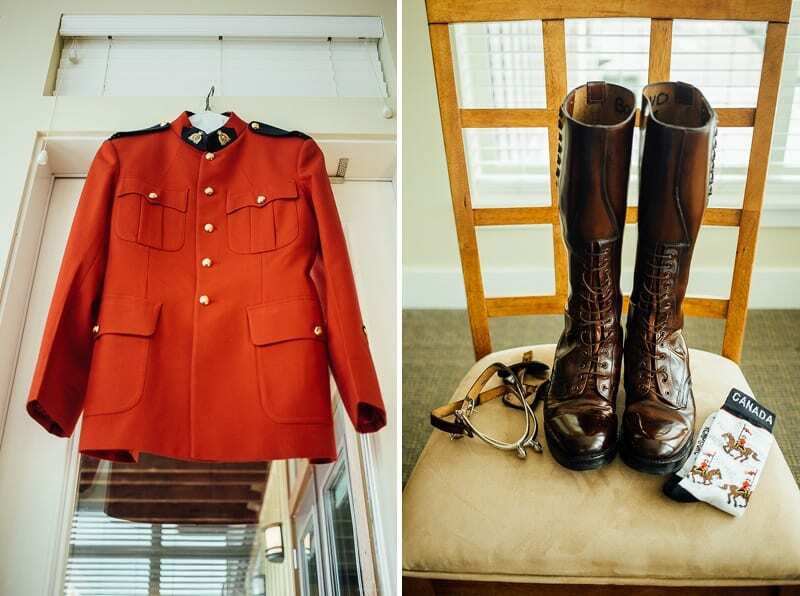 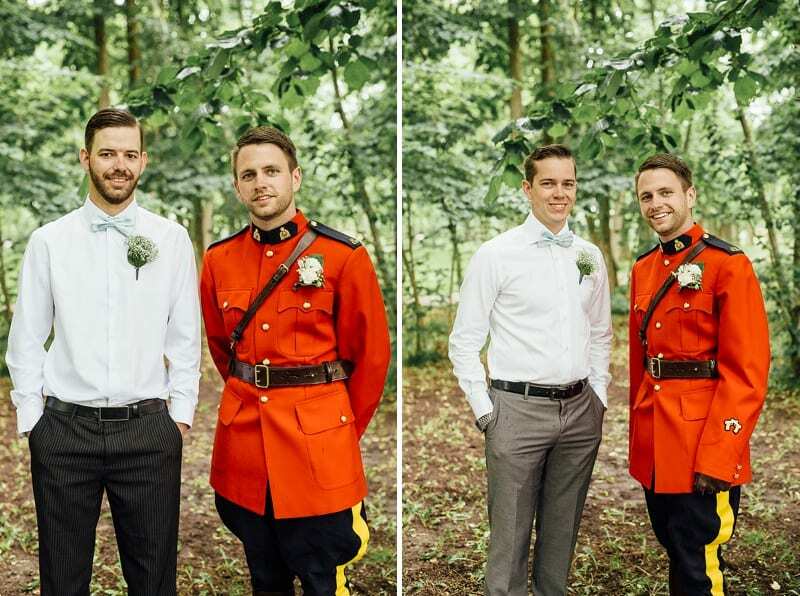 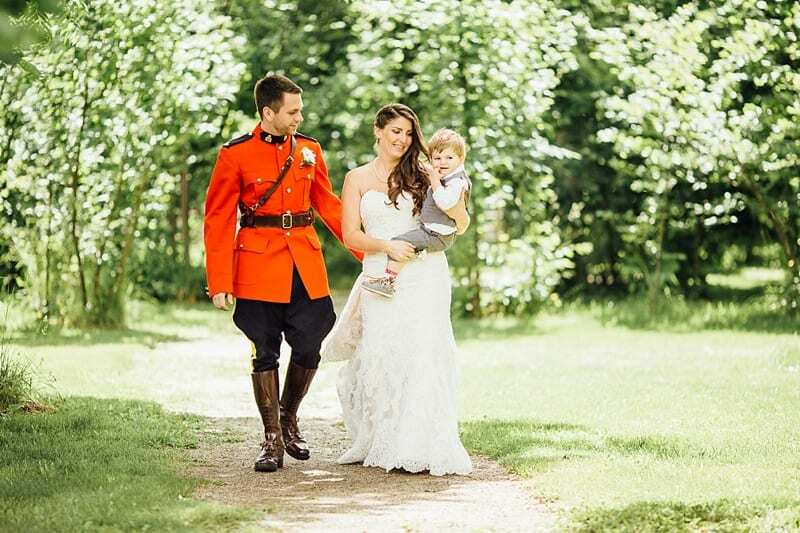 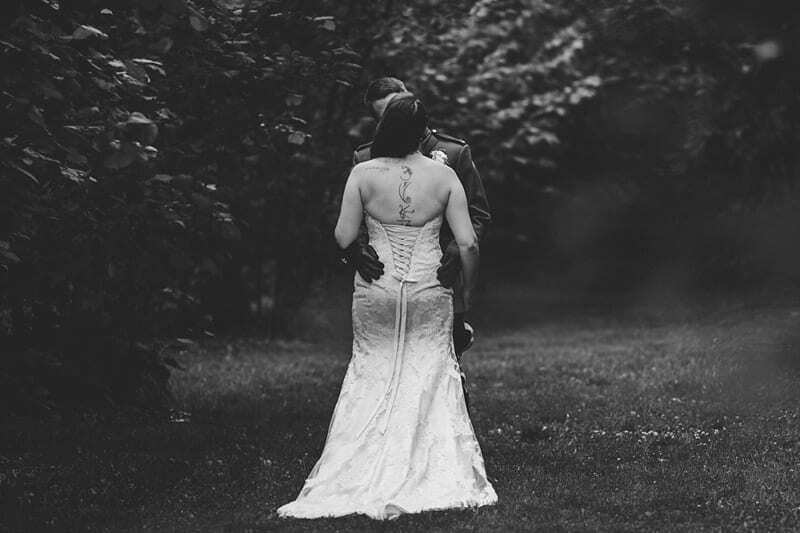 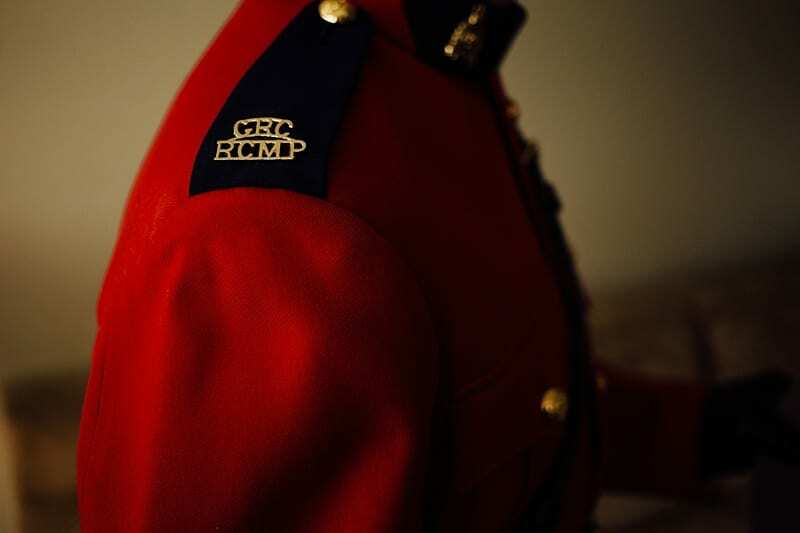 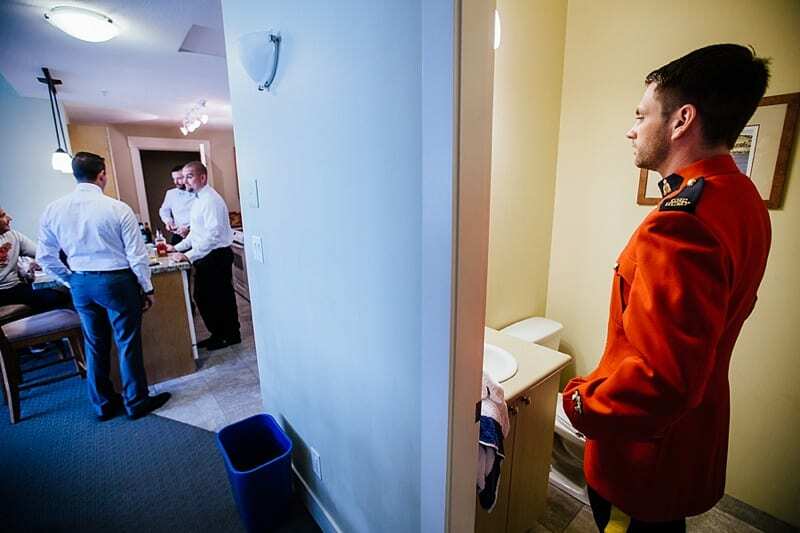 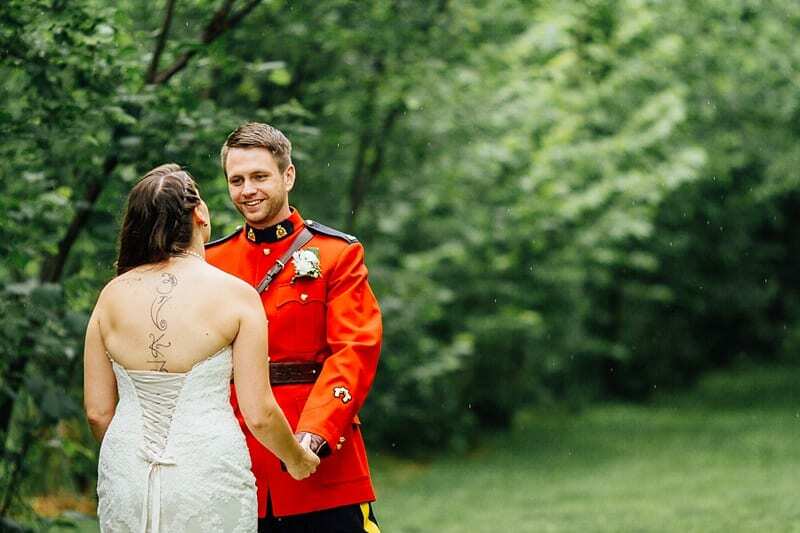 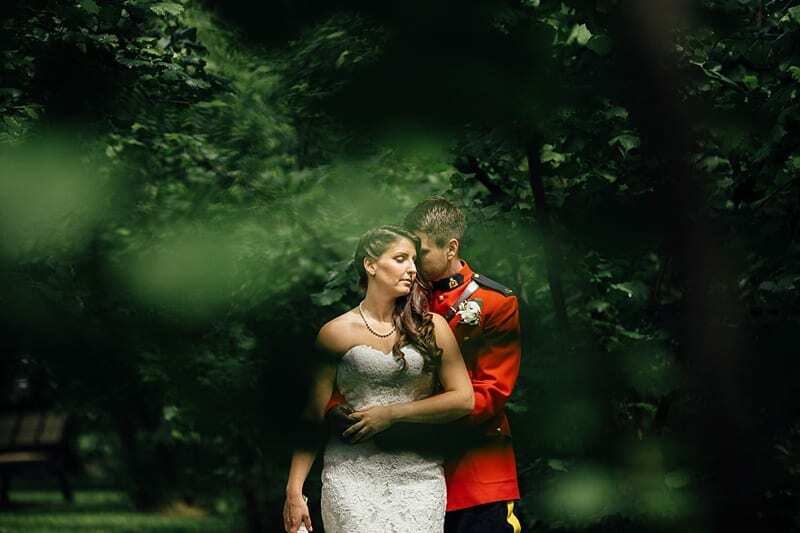 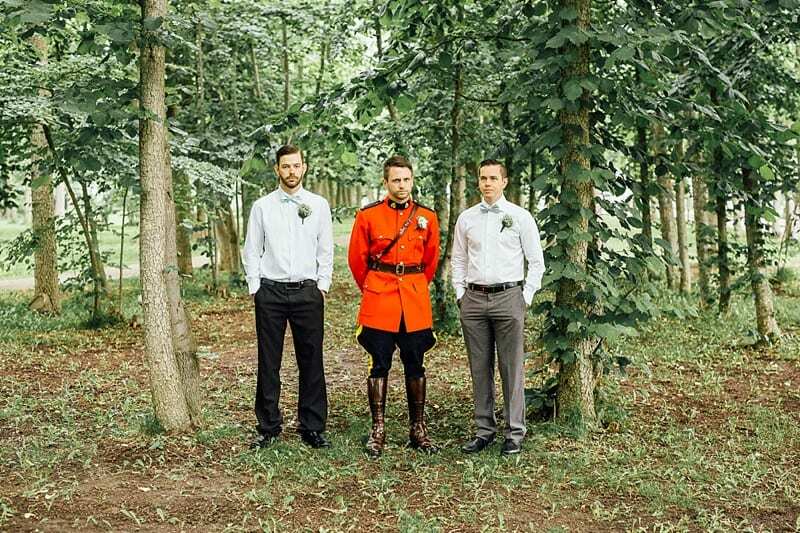 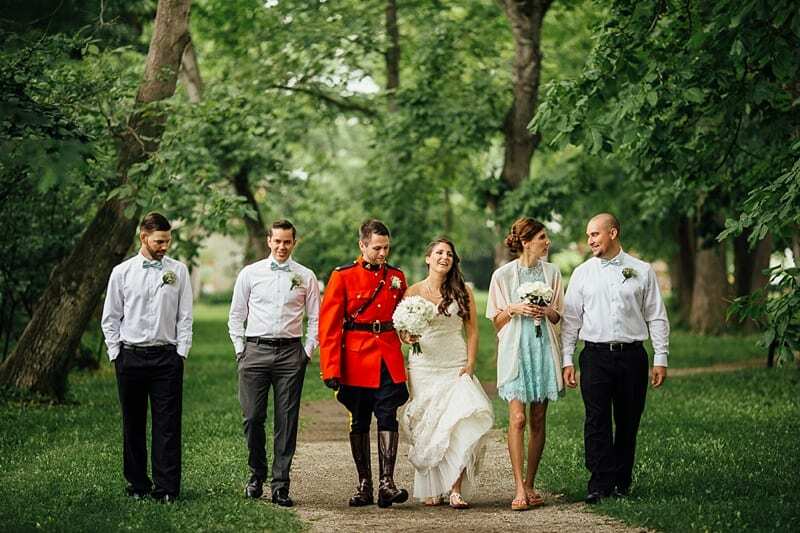 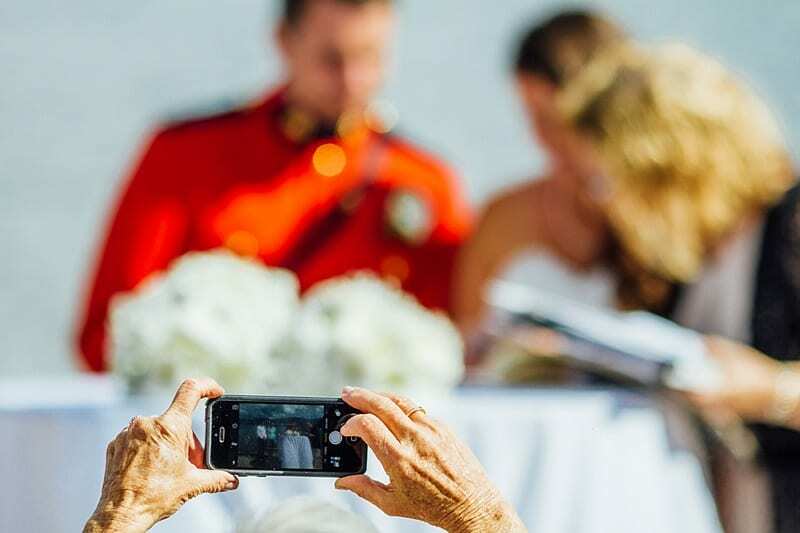 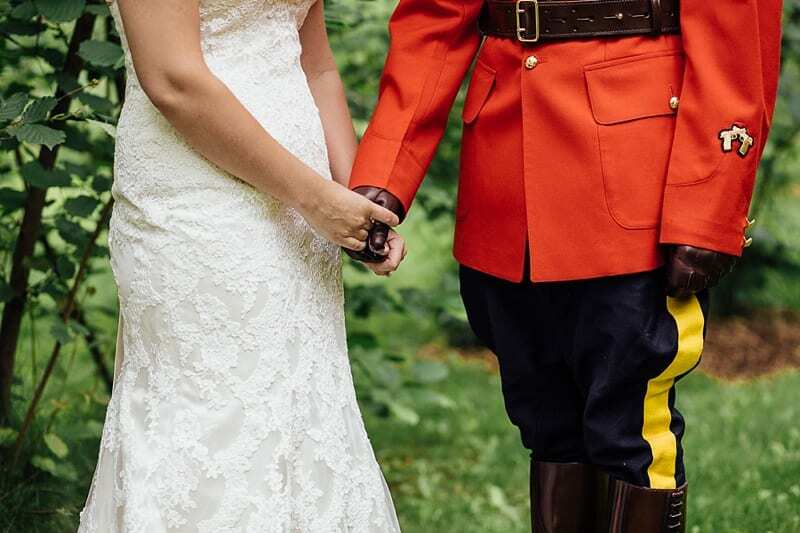 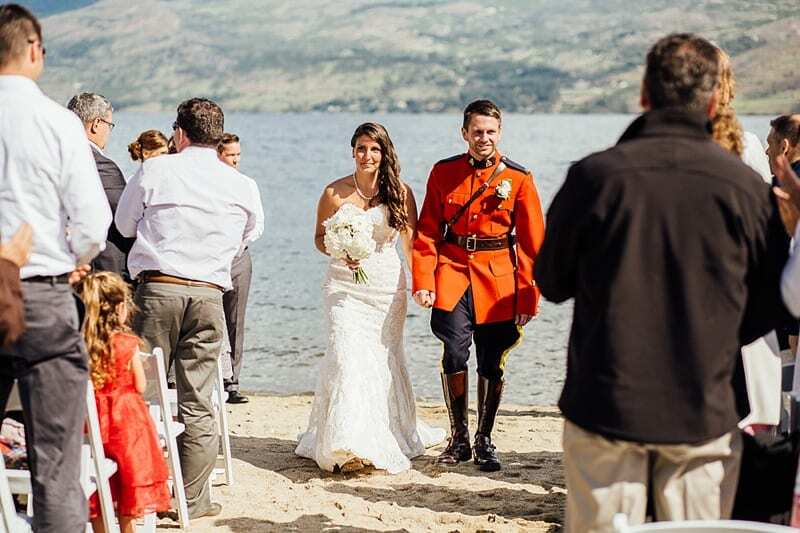 Sam chose to wear his Serge for the ceremony and we love shooting all the awesome details that go along with an RCMP wedding! 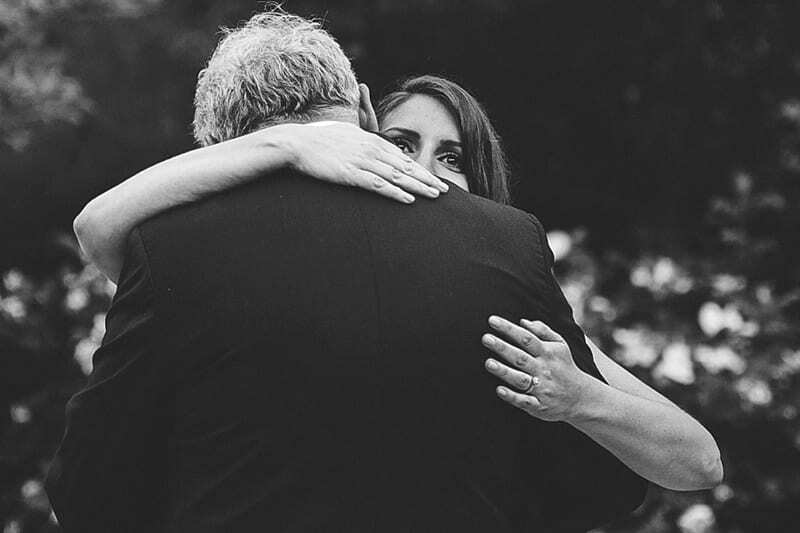 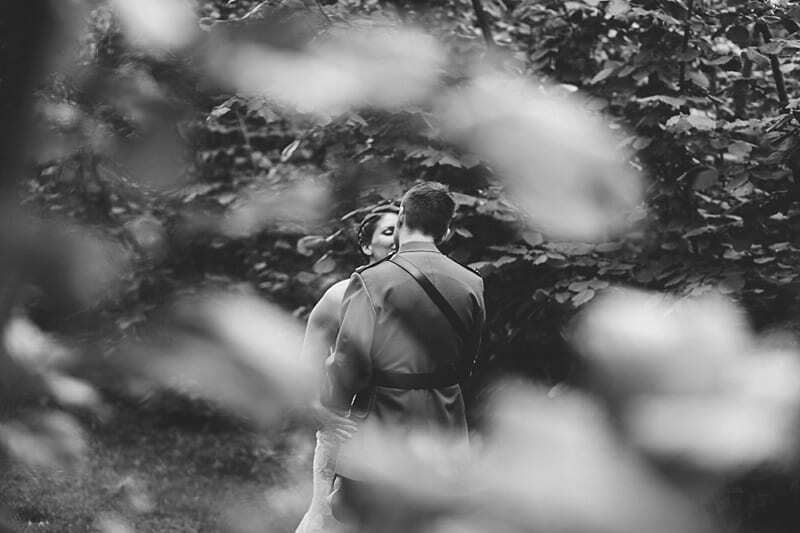 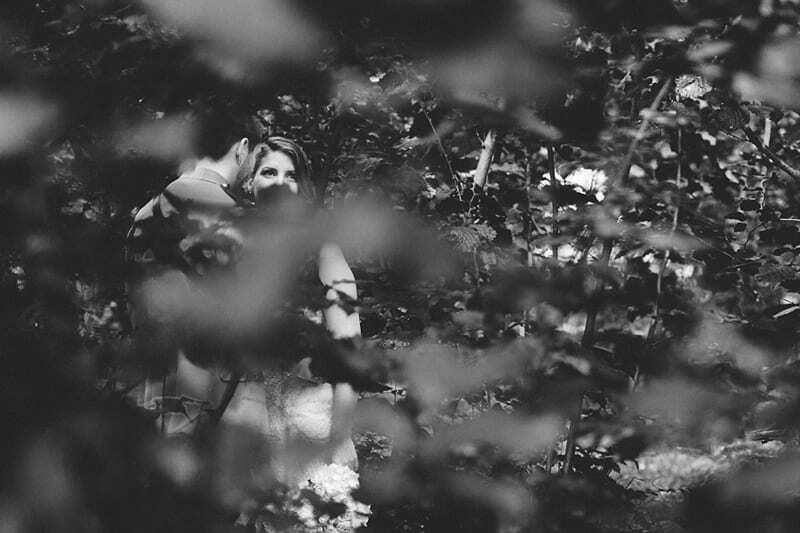 Tara + Sam’s first look was romantic as the moment they saw each other little sprinkles of rain began to fall. 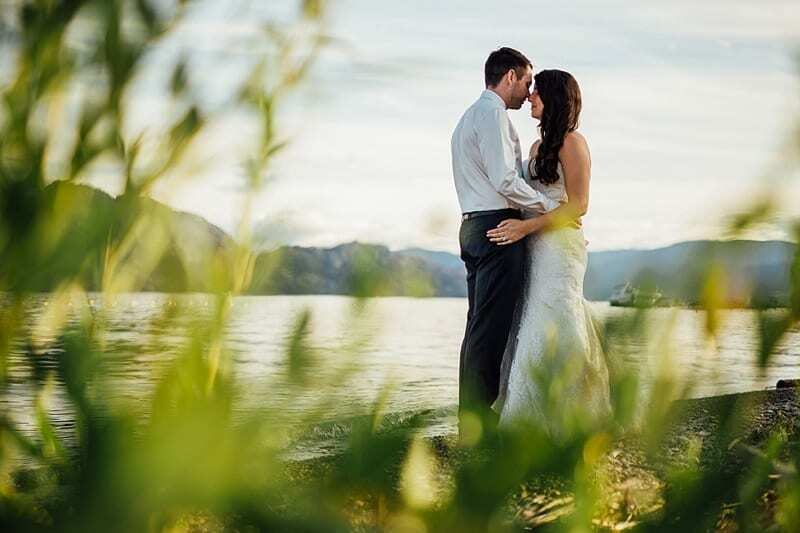 But nothing bothered these two and we went right into shooting their bridal party under a canopy of leaves at the Gellatly Nut Farm in West Kelowna. 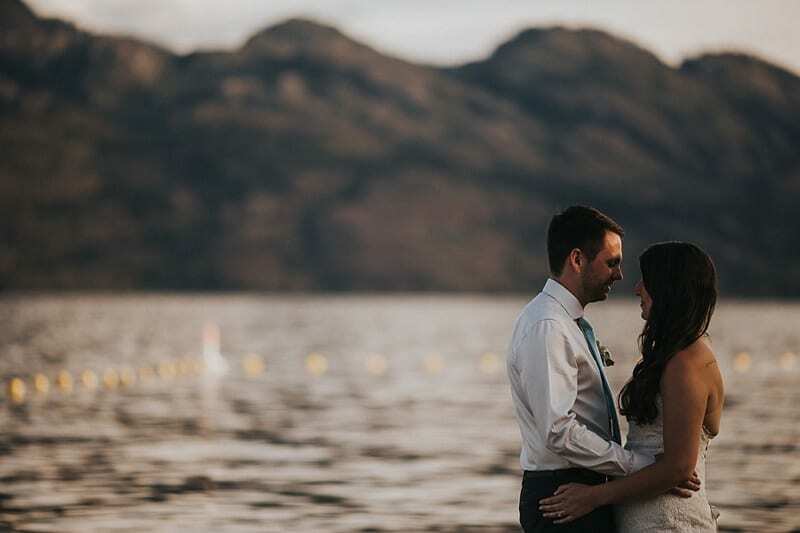 As soon as we began portraits with our couple, the sun broke through the clouds and provided some nice dramatic and lovely light. 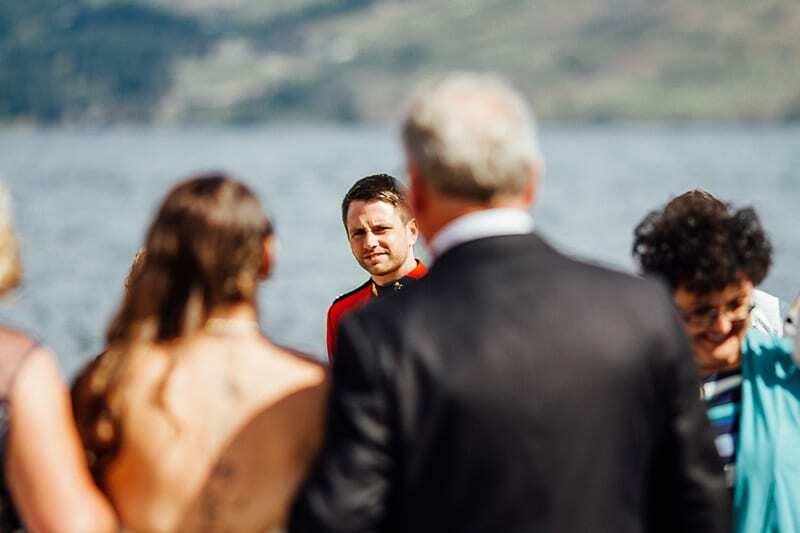 The ceremony was on the beach and by this time it was raining as hard as it was going to rain all day. 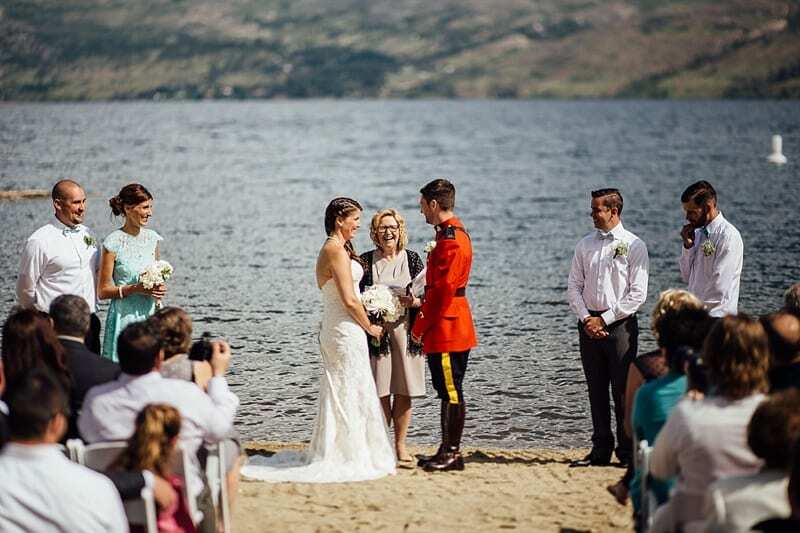 Guests huddled under umbrellas until once again the sun broke through just in time for a beautiful ceremony by the Okanagan lake. 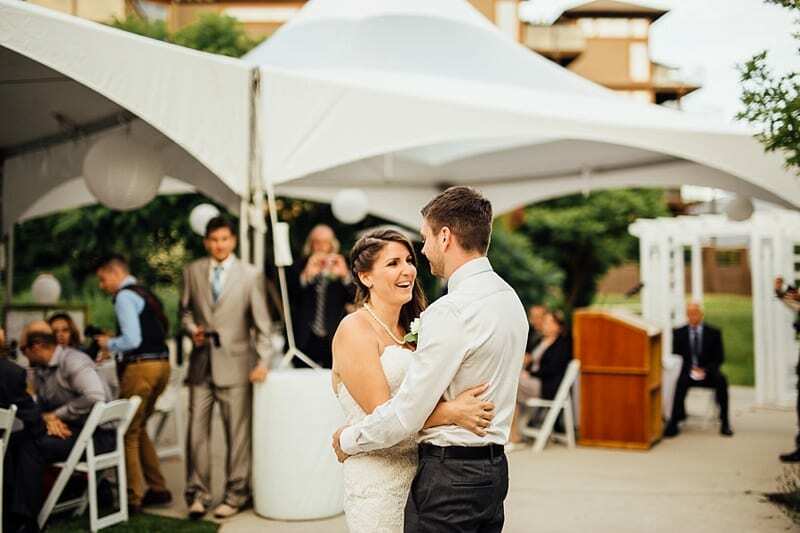 After the “I do’s”, we walked over to the reception area where a large tent was set up and all the pretty details were out for us to enjoy. 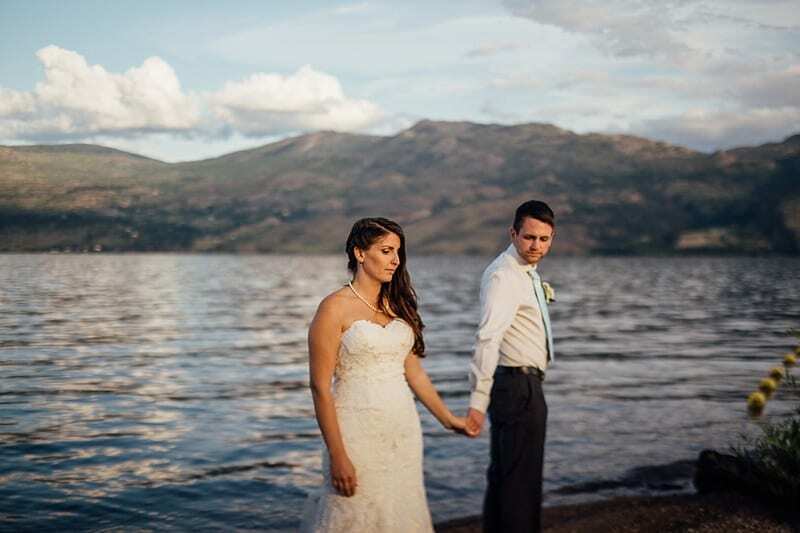 Once dinner was finished, we strolled back to the water for a few more sunset photos of our couple. 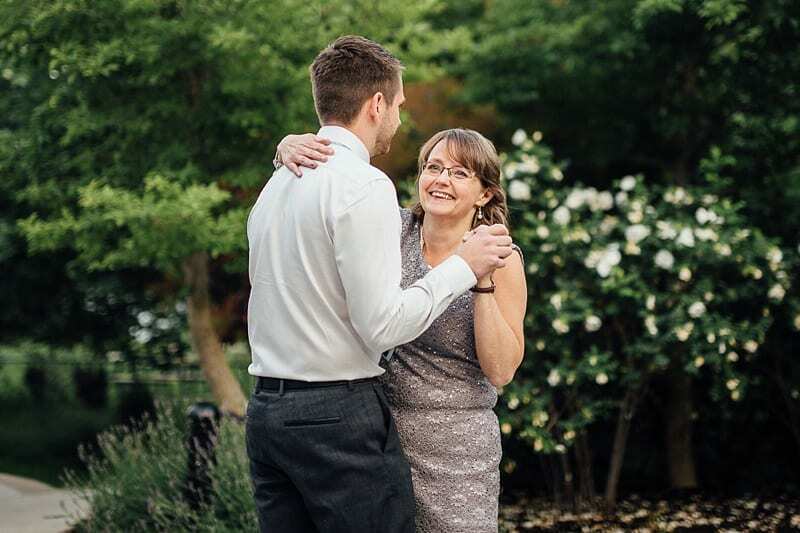 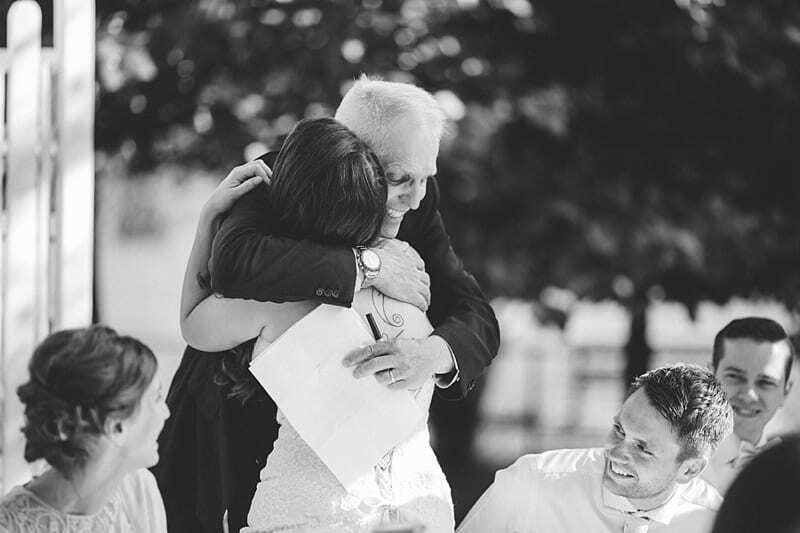 Soon the program was underway and touching speeches were followed by a heart-warming first dance, father-daughter dance, and mother-son dance. 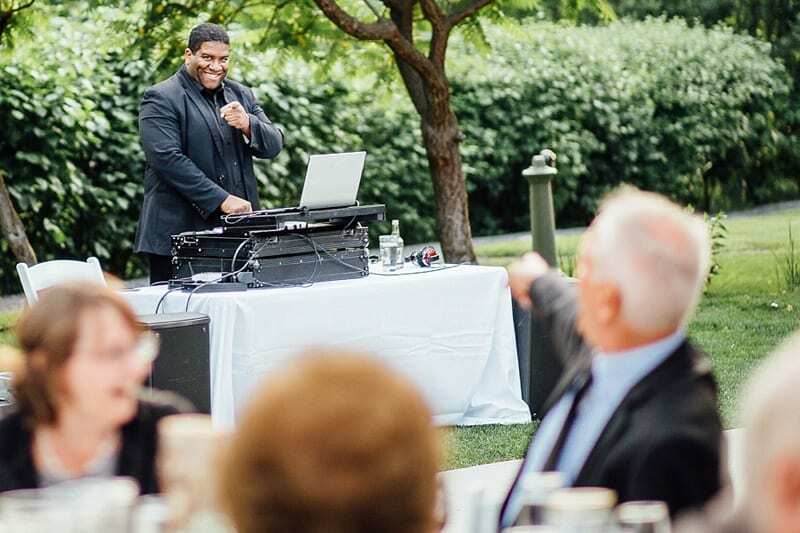 Then the guests joined in and the party was underway as DJ Les kept the tunes going into the night! 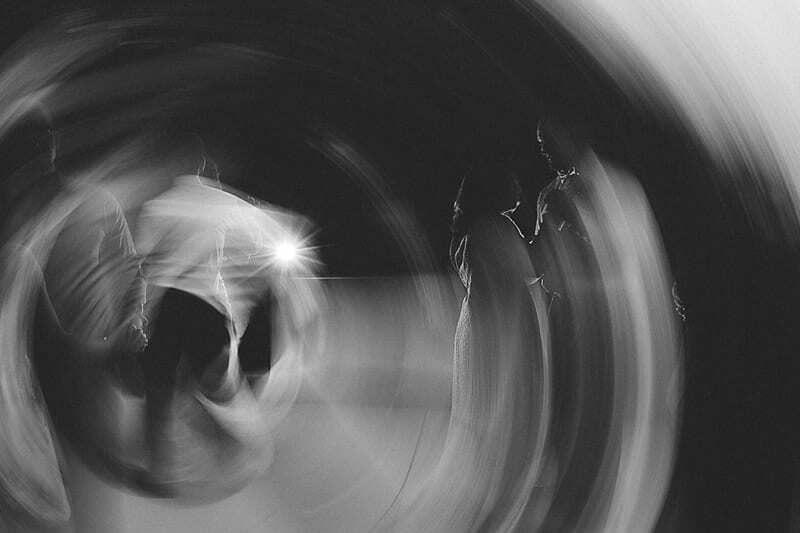 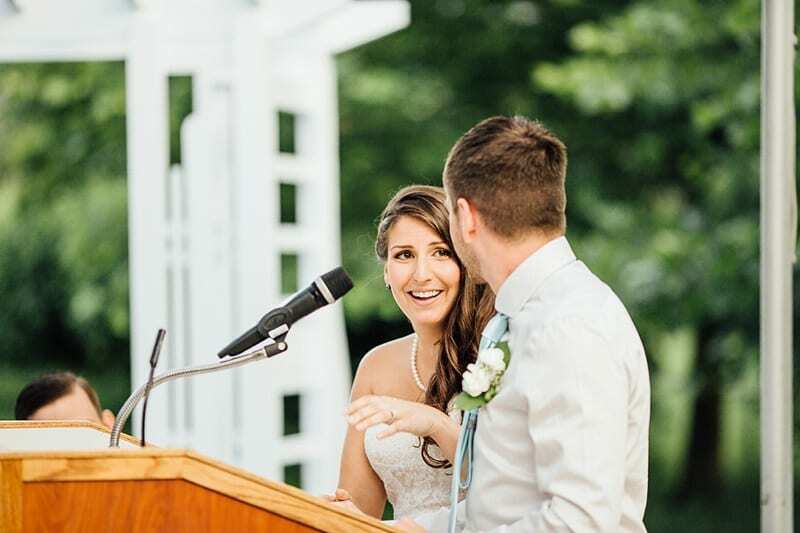 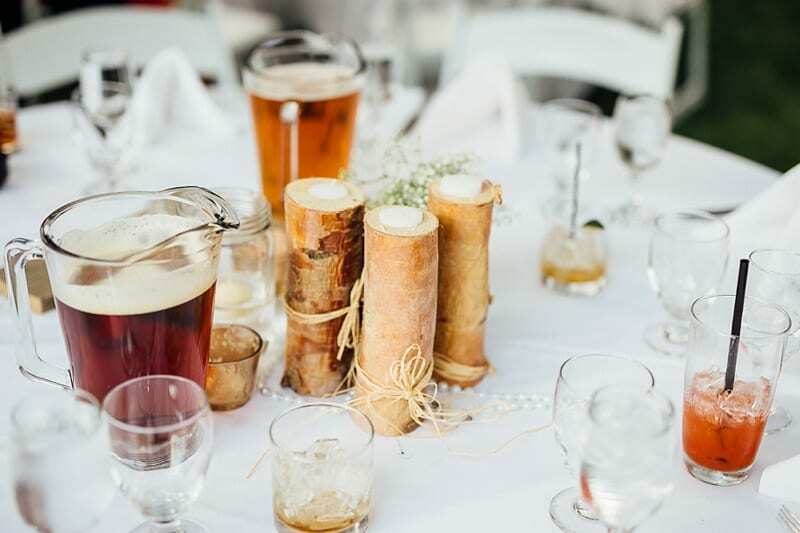 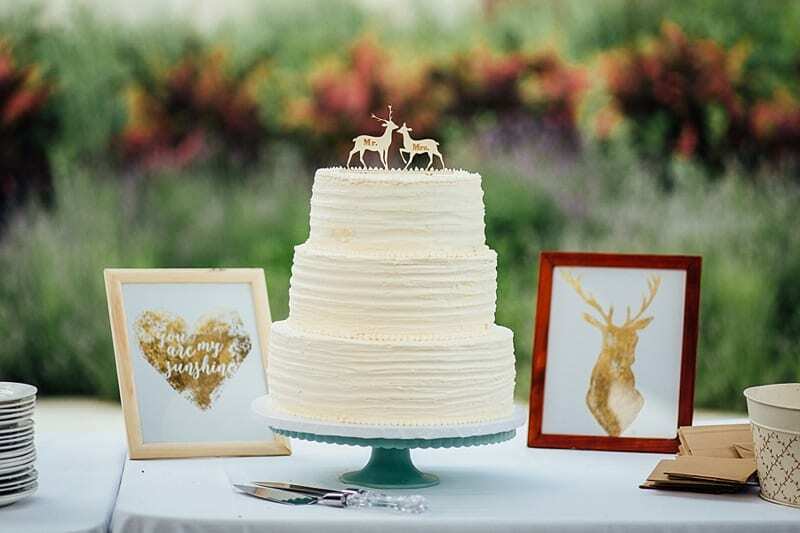 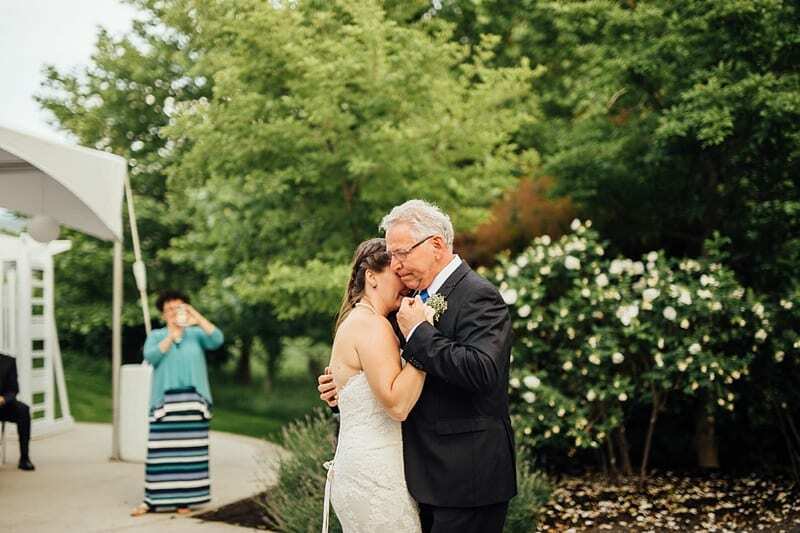 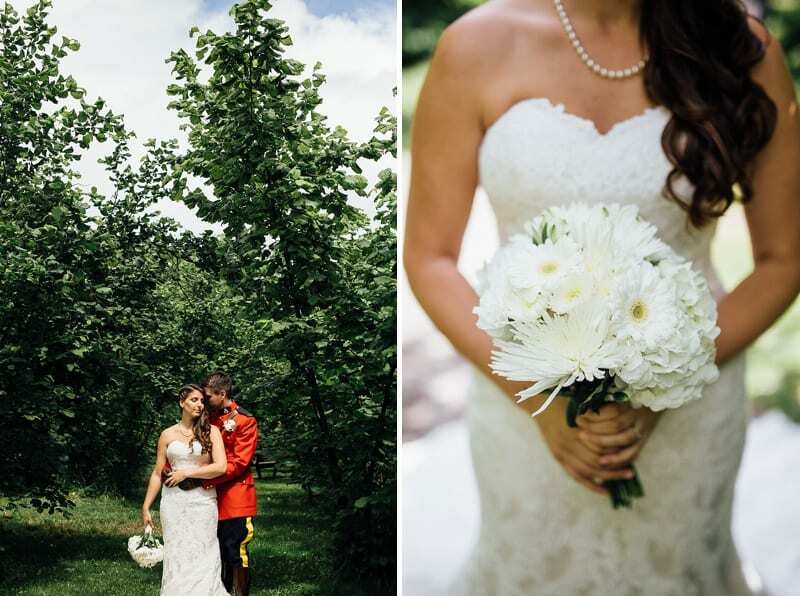 Thank you, Tara + Sam for having us as your photography team! 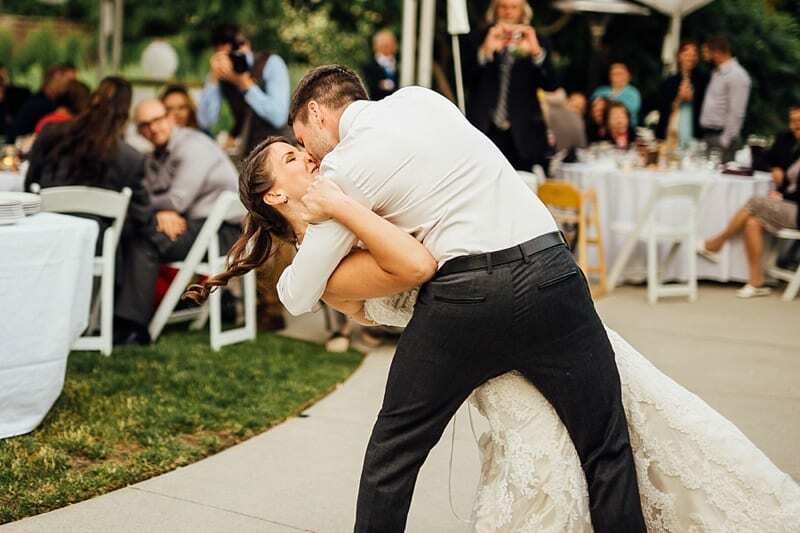 Leave a comment for Tara + Sam!